Storytime teaches the foundations of reading, social skills, and creative skills. Bring your child to storytime and enjoy age-appropriate stories, songs, finger plays, puppets, and activities! 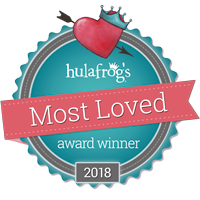 There’s no need to sign up for storytimes anymore! Pick up a name tag at the Youth Services desk 15 minutes prior to the start of storytime to join the fun. Nametags are limited to the first 20 participants. Infant to Walking with Caregiver – Babies experience the sounds and structure of language through rhythm, rhyme and repetition. Drop In, Limit 20. One to Two Year Olds with Caregiver – Ones and twos develop social, emotional, and language skills through movement, stories, songs and rhymes. Drop In, Limit 20. Three to Five Year Olds – Preschoolers build vocabulary, language development, and listening comprehension with stories, rhymes, songs, movement and creative expression. Drop In, Limit 20. 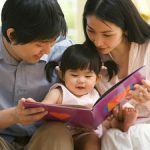 Should I leave if my child gets noisy during storytime? Children have different listening skills depending on their personality and stage of development. Sometimes a noisy or active child causes so much disturbance that others cannot hear. So, if your child doesn’t want to listen today, you can leave the room and rejoin us when your child is ready. May I bring a snack for my child? It is distracting for other children to see snacks that they cannot eat, so please save snacks for after storytime class. Should I sing the songs and do the actions with the librarian? When you sing along and participate, you are showing your child that what we are doing is not only fun, but also important. All of our storytime classes promote the six early literacy skills, many of which you can duplicate at home. So don’t worry about being silly; we’re masters at it! Is it OK to chat with my friend or to use my cell phone? Unfortunately, your chatting becomes a distraction for others. Please turn off your cell phone and have personal conversations after storytime class is over. Your schedule does not fit my schedule. May I bring my 2-year-old to a storytime for 5-year-olds? The programs are designed to fit the stage of development of the child, including listening , motor, and cognitive skill levels. So an older child might be bored at a storytime class for toddlers, and a toddler might be overwhelmed by the complexity of stories for preschoolers. But we will always welcome all children. Why all this information about early literacy? 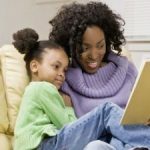 Experts believe that reading, singing, and rhyming are the best activities parents can do with young children to get them ready to learn how to read. Librarians do those every week at storytime class! 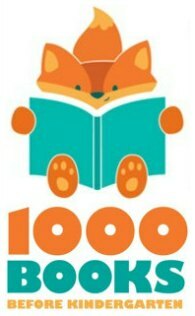 We take this opportunity to give you tips on what you can do, as well as model for you some of the fun ways to bring books alive. Can’t wait until Storytime for a good story?